If a taxpayer purchases virtual currency (cryptocurrency) and spends it on personal use, the IRS requires him to calculate a capital gain or loss on each transaction. Capital gains on personal-use property are reportable and subject to tax, whereas, the IRS disallows capital losses. If a taxpayer acquires virtual currency as an investment, though, then all capital gains and capital losses are reportable, and the de minims rule should not apply. The AICPA suggests the IRS apply a similar de minimus rule used for foreign currency transactions in Section 988(e)(2) (see below). The code section refers to personal purchases, not Section 162 business or Section 212 investment property. For example, if a taxpayer acquired Euros for a European vacation, the de minimus rule applies, and the taxpayer can exclude capital gains on the Euros spent if the capital gain is under $200 per transaction. The IRS does not permit taxpayers to deduct capital losses on personal-use property, including foreign currency or virtual currency held for personal use. Taxpayers may not deduct capital losses on the sale of a private auto or a primary residence. 1. Joe purchased one Bitcoin in early 2017 for personal-use spending, and his Bitcoin rose in price substantially during the year. Joe planned on many vendors adopting Bitcoin as a means of payment. Joe’s original intention was for personal use, so a de minimus exemption should apply to him if the IRS approves that AICPA recommendation*. If Joe bought Bitcoin in 2018, he might have a capital loss, which would be non-deductible on personal-use property. 2. Nancy invested in 10 Bitcoins in early 2017, and her intention was capital appreciation and diversification into a new asset class. She spent Bitcoin frequently during the year on personal transactions, buying goods and services wherever Bitcoin was accepted. She hoped it would be tax-free, but it’s not. The intention of the taxpayer is critical in determining tax treatment. If the aim is for personal use, then the de minimus rule should apply to capital gains under $200, and capital losses are not deductible. If the intention is for investment, then it’s capital gains and losses. If the purpose is for business, ordinary gain or loss treatment applies. With tax treatment hinging on category (personal use, investment, and business), it’s wise to segregate cryptocurrency into these buckets carefully. If the IRS agrees with the AICPA proposal on the de minimus exemption, declare a crypto wallet for personal use, and the rest as an investment to protect capital loss treatment on the bulk of your crypto that you don’t plan to spend. “Overview: Some taxpayers may only have a minimal amount of virtual currency that is designated for making small purchases (such as buying coffee). Tracking the basis and FMV of the virtual currency for each of these small purchases is time consuming, burdensome, and will yield a de minimis amount of gain or loss. A binding election applicable for a specified amount of virtual currency is beneficial to taxpayers. Currently, section 988(e)(2) allows for an exclusion of up to $200 per transaction for foreign currency exchange rate gain, if derived from personal purchase. The same exclusion should apply to virtual currencies even though they are considered property rather than foreign currency. Q-9: May individuals use a de minimis rule for virtual currency similar to the section 988(e)(2) exclusion of up to $200 per transaction for foreign currency exchange rate gain? no gain shall be recognized for purposes of this subtitle by reason of changes in exchange rates after such currency was acquired by such individual and before such disposition. The preceding sentence shall not apply if the gain which would otherwise be recognized on the transaction exceeds $200. This entry was posted in Cryptocurrencies and tagged cryptocurrencies, cryptocurrency on June 4, 2018 by Robert Green. Many crypto traders face massive tax bills for 2017. Which accounting method they apply could change their tax bills by tens of thousands of dollars. The IRS wants the “specific identification” (SI) accounting method used on property transactions, which applies to crypto. SI requires “adequate identification” of units sold, but most crypto traders cannot comply with these formal IRS regulations. Many crypto traders and accountants use the alternative “first in first out” (FIFO) accounting method. FIFO is reliable and practical. A side benefit of FIFO is longer holding periods with potential qualification for long-term capital gains tax at 0%, 15%, and 20% graduated rates. But FIFO likely raised tax bills for many crypto traders in 2017, because coin prices rose dramatically during the year. Selling coins purchased at lower prices (cost basis), increased 2017 capital gains. Many traders held significant amounts of crypto at year-end, embedded with higher cost-basis. If these traders complied with SI adequate identification rules, they might have reduced capital gains income by choosing higher-cost lots for sale. “Except for stock for which the average basis method is available (i.e., mutual fund shares), if a taxpayer sells or transfers corporate stock that the taxpayer purchased or acquired on different dates or at different prices, and the taxpayer doesn’t adequately identify the lot from which the stock is sold or transferred, the stock sold or transferred is charged against the earliest lot purchased or acquired to determine the basis and holding period of the stock. The tax court allowed oral communication by the trader to the broker and the court relaxed the broker rules for providing contemporaneously written confirmation. With high-speed trading on coin exchanges, it seems nearly impossible to comply with adequate identification rules for the SI accounting method. Crypto traders don’t use brokers; they trade online over coin exchanges without any communication between trader and exchange. Would the IRS consider this situation to be compliant with SI adequate identification rules? Maybe not. “Allow an alternative treatment under section 1012 (e.g., first in first out (FIFO)). The treatment of convertible virtual currency as noncash property means that any time virtual currency is used to acquire goods or services, a barter transaction takes place, and the parties need to know the fair market value (FMV) of the currency on that day. 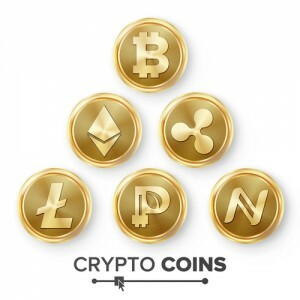 The party exchanging the virtual currency for the goods or services will need to also track the basis of all of his or her currency to determine if a gain or loss has occurred and whether it is a short-term or long-term transaction. This determination involves a significant amount of recordkeeping, even if the transaction is valued at under $10. A crypto trader bought 20 Bitcoins before 2017 at low prices. He bought 30 more Bitcoins between January and June 2017 at materially higher rates. In July 2017, he transferred the 30 Bitcoins purchased in 2017 to a coin exchange. He kept the original 20 in his wallet off-exchange. He adequately identified the 30 newer units for the trading. He used and complied with SI, and it saved him thousands of dollars in capital gains taxes compared to using FIFO. Choosing an option in a trade accounting program to cherry pick the highest cost basis for lowering capital gains after the fact is likely not acceptable to the IRS. “Last in first out” (LIFO) is also expected not acceptable. I suggest crypto traders file extensions for 2017 by April 17, 2018, to avoid late-filing penalties of 5% per month (up to a maximum of 25%). Hopefully, the IRS will issue new guidance addressing permissible accounting methods and their application in the real world of crypto trading. Consult with a cryptocurrency trade accounting expert. This entry was posted in Cryptocurrencies on April 10, 2018 by Robert Green. Active cryptocurrency (coin) traders can qualify for trader tax status (TTS) to deduct trading business expenses and home-office deductions. TTS is essential in 2018: The Tax Cuts and Jobs Act suspended investment expenses, and the IRS does not permit employee benefit plan deductions on investment income. A TTS trader can write off health insurance premiums and retirement plan contributions by trading in an S-Corp with officer compensation. There’s an additional critical tax benefit with TTS: Electing Section 475 mark-to-market accounting (MTM) on securities and/or commodities. Section 475 turns capital gains and losses into ordinary gains and losses thereby avoiding the $3,000 capital-loss limitation and wash-sale loss adjustments on securities (this is what I like to call “tax-loss insurance”). Many coin traders incurred substantial trading losses in Q1 2018, and they would prefer ordinary loss treatment to offset wage and other income. Unfortunately, most coin traders will be stuck with significant capital-loss carryforwards and higher tax liabilities. There are benefits to 475 income, too. The new tax law ushered in a 20% pass-through deduction on qualified business income (Section 199A), which likely includes Section 475 ordinary income, but excludes capital gains. Trading is a specified service activity, requiring the owner to have taxable income under a threshold of $315,000 (married) or $157,500 (other taxpayers). There is a phase-out range above the limit of $100,000 (married) and $50,000 (other taxpayers). The U.S. Commodity Futures Trading Commission (CFTC) defined cryptocurrencies as commodities in 2015. During a March 7, 2018, CNBC interview, Commissioner Brian Quintenz said the CFTC has enforcement authority, but not oversight authority, over cryptocurrencies traded in the spot market on coin exchanges. The CFTC has enforcement and oversight authority for derivatives traded on commodities exchanges, like Bitcoin futures. Will the IRS change its mind? There is a long-shot possibility the IRS could change its tune to treat cryptocurrency as a security and or a commodity as a result of recent actions from the SEC and CFTC, including the statements mentioned above. Then coin might fit into the definition of securities and/or commodities in Section 475. Until and unless the IRS updates its guidance, coin is intangible property, which is not listed in Section 475. If you incurred substantial trading losses in cryptocurrencies in Q1 2018, and you qualify for TTS, you might want to consider making a protective 2018 Section 475 election on securities and commodities by April 17, 2018 (or by March 15 for partnerships and S-Corps). The IRS has a significant workload drafting regulations for the new tax law, and with limited resources, I don’t expect it to update coin guidance shortly. There is a side effect of making a 475 election on commodities: If you also trade Section 1256 contracts, you surrender the lower 60/40 capital gains rates. Perhaps, you only trade coin and don’t care about Section 1256 contracts. If coin is deemed a commodity for tax purposes, it’s still likely not a Section 1256 contract unless it lists on a CFTC-registered qualified board or exchange (QBE). Coin exchanges or marketplaces are currently not QBE. Section 475 provides for the proper segregation of investment positions on a contemporaneous basis, which means when you buy the position. If you have a substantial loss in coin that you’ve held onto for months before the sale, the IRS will likely consider it a capital loss on an investment position. Bitcoin futures trade on the CME and CBOE exchanges. The product appears to be a regulated futures contract (RFC) trading on a U.S. commodities exchange, meeting the tax definition of a Section 1256 contract. That means it also fits the description of a commodity in Section 475. Section 1256 contracts have lower 60/40 capital gains tax rates, meaning 60% (including day trades) are taxed at the lower long-term capital gains rate, and 40% are taxed at the short-term rate, which is the ordinary tax rate. Section 1256 is mark-to-market accounting, reporting unrealized gains and losses at year-end. TTS traders usually elect 475 on securities only to retain these lower rates on Section 1256 contracts. A Section 1256 loss carryback election applies the loss against Section 1256 gains in the three prior tax years, and unused amounts are carried forward. According to Grayscale’s website, the company is “the sponsor of Bitcoin Investment Trust, Bitcoin Cash Investment Trust, Ethereum Investment Trust, Ethereum Classic Investment Trust, Litecoin Investment Trust, XRP Investment Trust and Zcash Investment Trust. The trusts are private investment vehicles, are NOT registered with the Securities and Exchange Commission.” The Grayscale cryptocurrency investment trusts list on OTC markets. According to its prospectus, Bitcoin Investment Trust is a Grantor Trust, a publicly traded trust (PTT). “Treatment of an interest in a grantor trust holding crypto assets means that you have to look through the trust envelope to the underlying positions,” says New York tax attorney Roger Lorence JD. It’s similar to other PTTs; like the SPDR Gold Shares (NYSEArca: GLD) with long-term capital gains using the collectibles tax rate applicable to precious metals. With the look-through rule, the cryptocurrency investment trusts are subject to taxation as intangible property. The new tax law limits current year business losses to $500,000 (married) and $250,000 (other taxpayers) starting in 2018. The excess business loss carries forward as a net operating loss (NOL). In 2017, there wasn’t a limit, and taxpayers could carryback NOLs two tax years and/or forward 20 years. Section 475 losses often generated immediate tax refunds from NOL carryback returns. At least NOL carryforwards are better than capital loss carryovers. A Section 475 election is not a savior in this situation: Section 475 turns 2018 capital losses into ordinary losses on TTS positions, but the IRS no longer allows NOL carryback refunds. In prior years, a trader with this problem could hold the IRS at bay, promising to file an NOL carryback refund claim to offset taxes owed for 2017. When a miner receives coin, it’s revenue. The net income after mining expenses is ordinary income and self-employment income. If the miner converts that coin from mining inventory to a capital asset, subsequent sales or exchanges of that coin are capital gains and losses, not ordinary income or loss. Most coin accounting programs assume a conversion to capital asset treatment takes place. However, a miner may not intend to convert coin to a capital asset, and instead leave the coin in inventory. A subsequent sale or exchange would then be an ordinary gain or loss as part of the mining business. Are you unsure if you are eligible for TTS? Here are the GreenTraderTax golden rules for qualification based on an analysis of trader tax court cases and years of tax compliance experience. - Volume: three to four trades per day. Don’t count when the coin exchange breaks down an order into multiple executions. - Frequency: trade executions on 75% of available trading days. If you trade five days per week, you should have trade orders executed on close to four days per week. - Holding period: The Endicott court required an average holding period of fewer than 31 days. - Hours: at least four hours per day, including on research and administration. - Taxable account size: material to net worth, and at least $15,000 during the year. -Intention to make a primary or supplemental living. You can have another job or business, too. - Operations: one or more trading computers with multiple monitors and a dedicated home office. - Automation: You can count the volume and frequency of a self-created automated trading system, algorithms or bots. If you license the automation from another party, it doesn’t count. - A trade copying service, using outside investment managers and retirement plan accounts don’t count for TTS. If you qualify for TTS, claim it by using business expense treatment rather than investment expenses. TTS does not require an election, but 475 does. In 1997, Congress recognized the growth of online trading when it expanded Section 475 from dealers to traders in securities and commodities. It was when I created GreenTraderTax, urging clients and followers in chat rooms to elect 475 for free tax-loss insurance. When the tech bubble burst in 2000, those that followed my advice were happy to get significant tax refunds on their ordinary business losses with NOL carrybacks. I wish Section 475 were openly available to all TTS coin traders now. This entry was posted in Cryptocurrencies and tagged cryptocurrencies on March 14, 2018 by Robert Green. I consulted dozens of cryptocurrency (coin) traders on taxes in December and confirmed what the media has been reporting: Coin traders made fortunes in 2017. Now that the 2017 tax-filing season is underway, these traders should gather online tax reports if available, use a coin trade accounting program, and review the latest guidance on tax treatment. This entry was posted in Cryptocurrencies and tagged coin, cryptocurrency on January 1, 2018 by Robert Green. Mackie says the specific identification method “uses strategies, so the user may select the lowest cost, highest cost, or closest cost, where the program finds the best match to minimize capital gains.” That sounds like too much cherry picking after year-end. I think users should use acceptable accounting methods and select them in writing before the year commences. If you have questions, please contact us or another expert in coin taxation. This entry was posted in Accounting, Cryptocurrencies on October 28, 2017 by Robert Green. If you invested in cryptocurrency (coin) and spent some in 2017, it likely triggered a capital gain, loss, or other income, which you should report on your tax return. There is taxable income or loss on all coin transactions, including coin-to-currency trades, coin-to-coin trades, receipt of coin in a hard fork or split transaction, purchases of goods or services using a coin, and mining income. In this post, I show you how to capture the proper income amount on all coin transactions. Some coin deals naturally generate taxable income, including coin-to-currency trades and mining income. For example, Bitcoin sold for U.S. dollars is a noticeable capital gain or loss reportable on Form 8949. Or, when a coin miner receives a coin for his work, he naturally recognizes revenue based on the value of the coin he received. The big problem for the IRS is that most other coin transactions are not evident for tax reporting, including coin-to-coin trades, hard fork transactions, and using a coin to purchase goods and services. The coin investor must “impute” a sales transaction to report a capital gain or loss on coin-to-coin trades and using a coin for purchases of items. Many coin investors and their accountants overlook or mishandle this reporting and underpay the IRS. Overlooked income has to do with the fact that the IRS labeled coin “intangible property.” Coin users may call it “digital money,” but it’s not money. That’s the critical difference: Each use of money is not a taxable event. Imagine having to report a capital gain or loss every time you purchased an item or asset with cash or a credit card. That would be ridiculous. Most taxpayers comprehend that if they purchased Bitcoin in 2016 for $10,000 and sold all of it in 2017 for $30,000, they should report a capital gain of $20,000 on their 2017 tax return form 8949. If the investor held the coin position for one year or less, it’s considered a short-term capital gain taxed at ordinary tax rates (up to 39.6% for 2017). If the position was held for more than one year, the long-term capital gain rate (up to 20% for 2017) applies. Many taxpayers and preparers delay capital gains income on coin-to-coin trades by inappropriately classifying them as a Section 1031 “like-kind exchange,” where they may defer income to the replacement position’s cost basis. Bitcoin had a hard fork in its blockchain on Aug. 1, 2017, dividing into two separate coins, Bitcoin vs. Bitcoin Cash. Each holder of a Bitcoin unit was entitled to arrange receipt of a unit of Bitcoin Cash. On Oct. 24, 2017, Bitcoin had another hard fork, splitting off Bitcoin Gold. There are more than 4,000 coins; many were created in hard fork transactions. On Jan. 1, 2017, Joe bought 100 Bitcoins at a price of $998 each, for a total cost basis of $99,800. On June 1, 2017, when the price of a Bitcoin unit was $2,452, Joe used one Bitcoin to purchase a new computer for an invoice price of $2,452. Without realizing it, Joe triggered a reportable short-term capital gain on his 2017 Form 8949. The sales proceeds are $2,452, representing the fair market value of the one bitcoin he used to purchase the computer. His cost basis for that one Bitcoin unit used is $998, so his net short-term capital gain is $1,454. If Joe uses the computer in his business, he will deduct $2,452 as an expense. The IRS was late in recognizing a coin “tax gap,” and it recently commenced an aggressive campaign to catch coin investors with under-reported income. The IRS successfully served a John Doe summons (the roughest kind) on Coinbase, and we are awaiting the results of its investigation. You should respect the tax rules for all types of coin transactions to avoid an IRS exam, which could lead to an assessment of back taxes, interest expenses, and penalties. Accuracy-related penalties include a negligence penalty of 20% and a substantial understatement penalty of 20% if you understate your income by 10% or more. In March 2014, the IRS issued long-awaited guidance (IRS Notice 2014-21) declaring coin “intangible property” and addressing some other tax questions. But, many issues remain uncertain including whether coin-to-coin trades may qualify for a Section 1031 like-kind exchange, how and when to report hard fork coin transactions, how and when to select permissible accounting methods, whether wash sale losses on securities apply to coin, and more. We cannot hold tax return filings waiting for new IRS guidance, which may not come at all. Our position is that coin traders cannot use Section 1031 on coin-to-coin trades executed on coin exchanges. Hard fork income is often taxable income when the new coin is received. Section 1091 wash sale loss rules and Section 475 MTM do not apply to coin because it’s not a security. Coin traders should select a permissible accounting method in advance of the year or contemporaneously with the trade — not after the fact. In my next post, Coin Traders Should Consider These Two Tax Accounting Solutions, I discuss coin accounting solutions and review two leading programs. This entry was posted in Cryptocurrencies on October 28, 2017 by Robert Green. Clash of Bitcoin and Ethereum coins. Many cryptocurrency investors are inappropriately deferring capital gains taxes when they exchange one cryptocurrency for another. An example of this practice: exchanging Bitcoin for Ethereum through a cryptocurrency exchange and using IRC Section 1031 “like-kind” exchanges. But if you were to sell Bitcoin for U.S. dollars and buy Ethereum with U.S. dollars, you would have to report a capital gain or loss. Something is amiss! Several websites encourage traders to consider Section 1031 on exchanges of cryptocurrencies, but none of them adequately state the potential risks. “I suppose most people who don’t report exchanges between various cryptocurrencies don’t think of it as a like-kind exchange,” says Deborah King, CPA. “They just do it, and later when they don’t receive a Form 1099, they forget about reporting it.” That’s even worse. It doesn’t sound like cryptocurrency investors, and traders are duly complying with Section 1031′s elaborate requirements. Few disclose Section 1031 transactions on the required Form 8824. A failed Section 1031 transaction bars tax deferral, and it generates current taxable income. Recently, the IRS served a “John Doe” summons (the toughest kind) to the largest cryptocurrency exchange, Coinbase, to obtain its customer list for investors and traders with cryptocurrency transactions worth over $20,000. The IRS calculated that less than 900 taxpayers reported capital gain or losses on cryptocurrency transactions in 2015, an alarmingly small number. It’s feasible that many taxpayers inappropriately tried to use Section 1031 like-kind exchanges on cryptocurrency exchanges, and did not disclose it to the IRS on Form 8824, or otherwise. Cryptocurrency transactions are not “covered instruments” on Form 1099Bs, so cryptocurrency exchanges/dealers did not furnish tax information to the IRS. The IRS also knows that many lawbreakers hide income in cryptocurrency transactions. How do Section 1031 like-kind exchanges work? Section 1031 allows a taxpayer to exchange, rather than sell, real property and personal property with another taxpayer in a tax-free exchange. You must hold the property for investment or productive use in a trade or business, and it excludes inventory. For example, enact a like-kind exchange with a commercial building for a shopping mall, or an automobile for another one, but not a truck. According to Thomson Reuters Checkpoint, “If it’s a straight asset-for-asset exchange, you will not have to recognize any gain from the exchange. You will take the same ‘basis’ (your cost for tax purposes) in your new property that you had in the old property. Even if you do not have to recognize any gain on the exchange, you still have to report the exchange on Form 8824.” If you receive cash or other non-like-kind property (“boot”) in the exchange, you’re required to report boot as taxable income and adjust your cost basis. If it’s not like-kind property, it’s not a like-kind exchange. Section 1031 specifically excludes stocks, bonds, notes, and indebtedness. It does not mention “cryptocurrency” or “virtual currency” since Section 1031 predated the advent of cryptocurrencies. 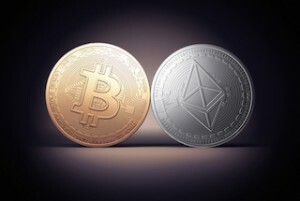 “Transactions for two biggest cryptocurrencies, Bitcoin and Ethereum, are priced in different ways, and there are other fundamental differences, too,” says Darren Neuschwander, CPA. The IRS could rule they are not like-kind property. It’s interesting to see how the IRS ruled on like-kind exchanges between coins and bullion. (Read Bitcoin taxation: Clarity and mystery. See the discussion of Section 1031 and the chart “Sec. 1031 rulings involving coins and bullion.”) In some cases, exchanges of gold for gold coins or silver for silver coins may qualify as like-kind property, but gold for silver coins is not like-kind property. An exchange of U.S. gold coins for South African Krugerrand gold coins was not like-kind property because the coins have a different composition. Krugerrands are bullion-type coins whose value is determined solely by metal content, where the U.S. gold coins are numismatic coins whose value depends on age, condition, number minted, and artistic merit, as well as metal content. In March 2014, the IRS issued long-awaited guidance (IRS Notice 2014-21) labeling cryptocurrency “intangible property,” but the IRS did not address the use of Section 1031. Investors and traders hold Bitcoin as a capital asset, so it receives capital gain and loss treatment. The AICPA and others requested further guidance from the IRS, including if investors could use Section 1031. The IRS has not yet answered in public. With a lack of IRS guidance, using Section 1031 on cryptocurrency trades is uncertain, and I suggest wrong in almost all facts and circumstances. There is no “substantial authority” for its use, which would be required to avoid tax penalties. It’s common for A to engage a “qualified intermediary” (QI) in a “multi-party like-kind exchange.” For example, A transfers RP1 to QI, who withholds cash payment to A. B transfers or sells RP2 to QI who then transfers RP2 to A, thereby completing A’s like-kind exchange. Section 1031 has many requirements including various procedures, documentation, and reporting. Non-compliance leads to a failed Section 1031 transaction, which negates tax deferral. There aren’t direct two-party like-kind exchanges between trader A and B through the exchange. Trader A doesn’t meet or know trader B, and each executes their trades directly with the exchange. There also isn’t a multi-party like-kind exchange. Taxpayer A trades on the exchange, and the exchange does not meet the Section 1031 requirement for acting as a QI in a multi-party like-kind exchange. The exchange does not complete any of the required paperwork as a QI, and the trades occur in nanoseconds, not over months. The IRS would likely consider the exchange a dealer. Section 1031 prohibits dealers from participating in direct two-party like-kind exchanges since dealers hold inventory in a trade or business, not capital assets. The IRS would likely treat the exchange as a disqualified person in a multi-party like-kind exchange. It might be possible for cryptocurrency holder A to execute a direct two-party exchange with holder B if he knows him and executes the transaction off-exchange. However, the IRS might not consider Bitcoin like-kind property with Ethereum. Don’t count on the year closing after three years. If a taxpayer omits more than 25% of taxable income (substantial omission), the statute of limitations expands to six years. If the IRS can establish a false or fraudulent return, or willful attempt to evade tax, or failure to file a return, then the year never closes. The John Doe summons on Coinbase reminds me of the IRS strong-arming foreign banks to bust Americans who hid income and assets in offshore bank accounts. Darren Neuschwander, CPA and Deborah King, CPA contributed to this blog post. This entry was posted in Cryptocurrencies on August 13, 2017 by Robert Green. In light of the Aug. 1 split of Bitcoin into two separate cryptocurrencies, Bitcoin and Bitcoin Cash, many questions remain. While the IRS has issued guidance on cryptocurrency — labeling it an “intangible asset” for investors subject to capital gains and loss treatment using the realization method — it has not issued guidance on cryptocurrency split or “fork” transactions. There are thousands of cryptocurrencies, and many formed in this type of division in the blockchain. Bitcoin holders should report the receipt of Bitcoin Cash on their 2017 income tax returns. It does not qualify as dividend income on Schedule B since a cryptocurrency is not a security. It’s also not considered interest income on a debt instrument or bank deposit. I suggest reporting the value received as “Other Income” on line 21 of Form 1040 —a catchall category for income that does not fit into a standard category. Some taxpayers might choose to use Form 8949 (Sales and Other Dispositions of Capital Assets) instead. The taxpayer reports the $266 value of Bitcoin Cash as proceeds and 9.5% of Bitcoin cost basis as Bitcoin Cash cost basis. The initial value of Bitcoin Cash was 9.5% of the Bitcoin price at that time. This alternative treatment reduces taxable income by the cost basis amount. Another benefit is capital gains use up capital loss carryovers. I question whether this method would pass muster with the IRS — Bitcoin did not decline in value by a material amount after the split, and that undermines the use of this treatment. Some Bitcoin holders mishandled or skipped arranging access to Bitcoin Cash, or their exchange does not support Bitcoin Cash, making retrieval difficult or impossible after Aug. 1, 2017. These taxpayers may believe they don’t have to report the Bitcoin Cash as taxable income since they don’t currently have access to it. While that seems reasonable, the IRS could apply the constructive receipt of income doctrine to argue the Bitcoin holder had access to Bitcoin Cash but turned his or her back on receiving it. Kelly Phillips Erb of Forbes goes into more detail in her article, Bitcoin Shift Could Cause Tax Headaches For Some Users). If you sold your Bitcoin Cash, you need to use capital gains treatment on Form 8949. For proceeds, enter the selling price. For cost basis, enter the $266 Bitcoin Cash value received per unit as you previously reported it as Other Income on line 21 of your 2017 Form 1040. The holding period for these units of Bitcoin Cash started on Aug. 1, 2017. Taxpayers may feel a cryptocurrency split such as Bitcoin Cash qualifies as a tax-free exchange. I don’t think it does because cryptocurrencies are not securities, where tax-free splits are possible. Lorence said the Supreme Court decision in Cottage Savings supports the view that the two classes of Bitcoin assets are not identical and therefore the transfer of the assets is considered a new class for which no nonrecognition provision of the code applies. Many cryptocurrency investors made a fortune the past several years selling high-flying Bitcoin and other cryptocurrencies for cash. Unfortunately, far too many of them did not report this taxable income to the IRS. Some cryptocurrency investors used Section 1031 like-kind exchange tax law to defer taxation, but that may be inappropriate (stay tuned for a blog post on that soon). Some cryptocurrency exchanges issued Form 1099-K, Payment Card and Third Party Network Transactions. The IRS feels they are insufficiently informed, so they are taking action. Bitcoin rose in price from $13 in 2009 to more than $3,000 on June 11, 2017, and on Aug. 1, 2017, its market cap was $44 billion. Ethereum had a market cap of $21 billion. Bitcoin Cash skyrocketed overnight to a market cap of $12 billion on Aug. 2, 2017. The IRS figures hundreds of thousands of American residents did not report income from sales or exchanges of cryptocurrency and they might be able to collect several billion dollars in back taxes, penalties, and interest. There is tax controversy brewing with cryptocurrency investors, which means tax exams will escalate. Don’t be greedy: Pay your capital gains taxes on windfall income and amend tax returns to report capital gains before the IRS catches up with you. Darren Neuschwander CPA, Adam Manning CPA and tax attorneys Roger D. Lorence and Mark M. Feldman contributed to this blog post. This entry was posted in Cryptocurrencies, Tax Treatment On Financial Products and tagged Bitcoin, cryptocurrency on August 2, 2017 by Robert Green. The IRS considers cryptocurrencies, including Bitcoin, to be “intangible property.” Investors and traders holding cryptocurrency as a capital asset should use capital gain or loss tax treatment on sales and exchanges, with the realization method. For example, if you buy Bitcoins with U.S. dollars and later sell them for U.S. dollars, a capital gain or loss needs to be reported on that transaction. An exchange of one cryptocurrency for another cryptocurrency is a taxable sale transaction, even though U.S. dollars are not involved in the transaction. Americans also trade Bitcoin or leveraged Bitcoin contracts on Bitcoin exchanges, and they should report realized capital gains and losses on each trade, even if the trader doesn’t convert underlying Bitcoin back into U.S. dollars. It’s similar to having a foreign-based brokerage account, denominated in a foreign currency (i.e., Euros), where a trader buys and sells European equities held in Euros, and does not convert Euros back to U.S. dollars during the year. Two potential choices for tax reporting: Convert Bitcoin to U.S. dollars on each purchase and sale transaction using the Bitcoin market price that day denominated in U.S. dollars, or perhaps the IRS will allow using Bitcoin as a functional currency, using an average Bitcoin vs. U.S. dollar conversion rate for the tax year. Use the realization method for sales of cryptocurrency held as a capital asset, which means you defer reporting of the capital gain or loss until closing the position. Don’t use mark-to-market accounting at year-end, which means you don’t report unrealized gains and losses. Use holding period rules to distinguish between short-term vs. long-term (12 months or longer) capital gains and losses. The long-term capital gains rates are lower than short-term rates, taxed as ordinary income. The $3,000 capital loss limitation against other income applies. Report each trade separately on Form 8949 (Sales and Other Dispositions of Capital Assets); we assume the IRS does not permit summary reporting. It’s OK to attach a report from your broker listing an accounting for each cryptocurrency trade. I don’t think you’ll have to make wash sale loss adjustments since Section 1091 wash sale rules only mention securities, not intangible property. Hopefully, the IRS will clarify this issue. Traders qualifying for trader tax status may not elect Section 475 ordinary gain or loss treatment on cryptocurrency. Section 475 covers securities and commodities, not intangible property. Onshore and offshore cryptocurrency exchanges do not issue American investors or traders a Form 1099B. Read my prior blog post: IRS Guidance On Bitcoin Transactions. The North American Derivatives Exchange, Inc. (Nadex), a U.S.-based CFTC-regulated derivatives exchange, offered Bitcoin binary contracts for part of 2016. On Dec. 16, 2016, Nadex filed a Self-Certification to Delist Bitcoin. U.S. residents with a foreign bank, brokerage, investment and another type of account (including retirement and insurance in some cases) who meet reporting requirements must e-file FinCEN Form 114, Report of Foreign Bank and Financial Account. If your foreign bank and financial institution accounts combined are under $10,000 for the entire tax year, you fall under the threshold for filing FinCEN Form 114. For another update on cryptocurrency tax treatment, read Taxation of Virtual Currency, Jan. 16, 2017, Bloomberg, by Elizabeth R. Carter. This entry was posted in Cryptocurrencies, Tax Treatment On Financial Products on February 16, 2017 by Robert Green.